Welcome to Collin College and Plano, Texas – home of the largest hot air balloon festival in the state! Ground yourselves on March 2, 2017 as the dancing begins, and then ascend together over the course of a conference spent creating connections among community college students, university students, graduate students, and professional artists. 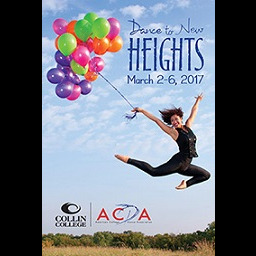 Things have a tendency to soar around here, and we hope that you will join us as we dance to new heights in 2017! Bio: Andy Noble is Co-Artistic Director of NobleMotion Dance and an Associate Chair/Professor at Sam Houston State University. He also serves as the Associate Artistic Director of the Dance Gallery Festival, an international festival that occurs every year in NYC. 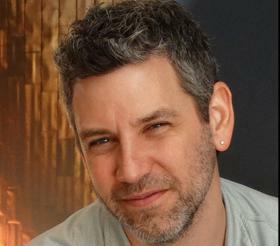 During the summer, Andy is a faculty member at Dance Italia in Lucca, Italy. His choreographic work has been critically recognized and NobleMotion Dance was listed in Dance Magazine as one of Houston’s “A-list” dance companies. Additionally, he has worked with Academy Award winner John Ridley to create original choreography featured on the Emmy Award Winning ABC TV show American Crime. Andy’s performing career includes six years with Repertory Dance Theatre (RDT), where he performed in over forty choreographic works by such noted masters as Martha Graham, Merce Cunningham, and Gideon Obarzanek (Chunky Move). For more information visit www.noblemotiondance.com. Bio: Jamie Williams is a professor and Dance Program Coordinator at San Jacinto College. She earned her MFA in dance from Sam Houston State University. She is a Certified Laban/Bartenieff Movement Analyst through Integrated Movement Studies. 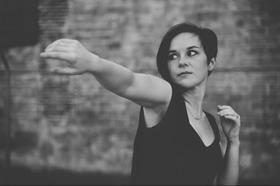 Jamie has performed with Psophonia Dance Company, Aimed Dance, and Frame Dance Productions, and continues to work with independent artists in the Houston area. 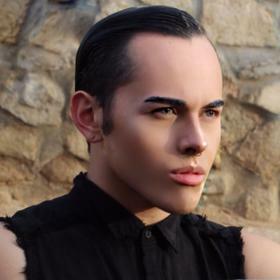 Bio: Oliver Dominguez is a recent BFA graduate from The University of Texas at El Paso. Mr. Dominguez is a professional dance instructor at Shundo Ballroom Dance Studio and a NDCA certified Latin ballroom competitor. His work has been showcased as a guest artist at UTEP, the American Dance Festival in North Carolina, and in Florence, Italy.